Just a quick one as I have a big pile of work to do today… I’ve been back working at The Crack Magazine for the past few weeks. I’ve mainly helping with the stuff for the mini guide to the north east but doing bits and pieces for September’s magazine. But before I started on the things for today I wanted to share these beauties…. 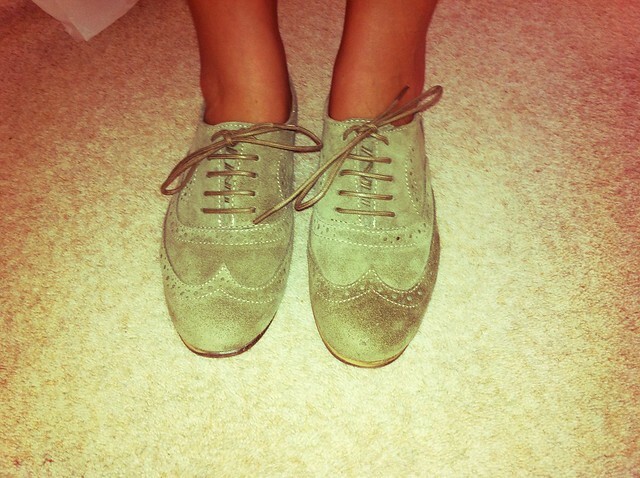 I found them in the sale in Topshop for £20 and I couldn’t resist! wow you got a great deal on those shoes! congrats! theyre so nice! and they look comfortable too.